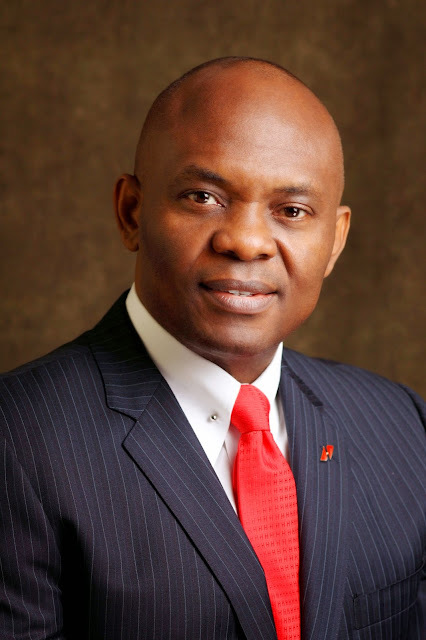 Tony Elumelu, Chairman of Heirs Holdings, the United Bank for Africa and Founder of The Tony Elumelu Foundation has called on African governments and donors to treat the agricultural sector in Africa as a commercially viable sector with a potential to create millions of jobs and dollars in revenue. The African Business leader and Philanthropist, who stated this while delivering the keynote address to agribusiness investors and stakeholders at The Global Food Security Symposium in Washington, DC, said agriculture should not be seen as a social welfare program, rather African farmers should be treated as entrepreneurs as governments create the enabling environment for MSMEs to access finance. Organised by the Chicago Council on Global Affairs on April 26th 2016, the event, which gathered a host of multi-disciplinary stakeholders in agriculture and food business, including Elumelu - a member of The Aspen Institute Global Food Security Strategy Group - presented a platform to discuss transformations in the global food system necessary to feed growing cities. Speaking from an African standpoint, Elumelu advocated for public and private sector collaboration, recommending the adoption of an Africapitalist approach to achieve the transformation and growth needed to meet the increasing demand for safe and sustainable food. Africapitalism promotes the private sector’s commitment to Africa’s development through long-term investment in strategic sectors of the economy that create economic prosperity and social wealth. “If the public and private sector work together in shared purpose, we will be able to retain the desired knowledge and manpower in rural areas in order to support agriculture. We will also be able to control the rate of urbanisation, because we would have made it possible for our young people to earn a good living and grow their businesses right where they were born and raised as agro-allied entrepreneurs,” he added. On the private sector responsibilities, he advocated for large investments that promote mechanized farming and processing as well as capital to partner with the government to provide key infrastructure supportive of sustained growth in the agriculture sector. “I believe that if we transform the agriculture sector, we will transform the African continent!” said Elumelu. Statistics reveal that an estimated 6.3billion people will live in urban cities by 2050 putting a strain on the supply of safe and sustainable food to feed the population. With multiple challenges facing small scale farmers and easy access to markets still an uphill task, the symposium was an avenue for stakeholders to discuss and recommend specific actions on how to tackle problems of global food security. The Council also released a major report on action points for the US government to advance food security in an urban world. Delivering his speech, co-chair of the Global Food and Agriculture Program, Dan Glickman, stated that action and innovation by the private sector are important to feed cities. “Feeding the world’s cities is an enormous challenge but also an enormous opportunity”. Other international speakers present at the event were Doug Bereuter, Co-chair, Global Food and Agriculture Program; Member, U.S. Senate, Honourable Jack Reed; and Rajiv Shah, senior advisor to The Chicago Council on Global Affairs and a distinguished service professor at Georgetown University’s School of Foreign Service, among others.